In very different circumstances, Lilian & her Mabel each lost a son and consequently missed a boat. Lilian had crossed the Atlantic many times, and in April 1912 was booked to sail to New York, to join her husband Pip Bale and the other "Zanettos" on their American tour with Fred Karno and Chaplin. But her baby son Herbert died, so Lilian postponed her departure until August ... and missed The Titanic. Lilian spent her last years with her daughter (Win Koszuta) at 54 Wick Farm Road, Littlehampton. Mabel had taken her son Henry "Sam" to Jersey hoping the climate would help his TB, but he died there on 28 June 1940, just 2 days before the Nazis arrived. Mabel had missed the last official evacuation boat that left for England on 23 June 1940, and spent the rest of WW2 on the occupied island. 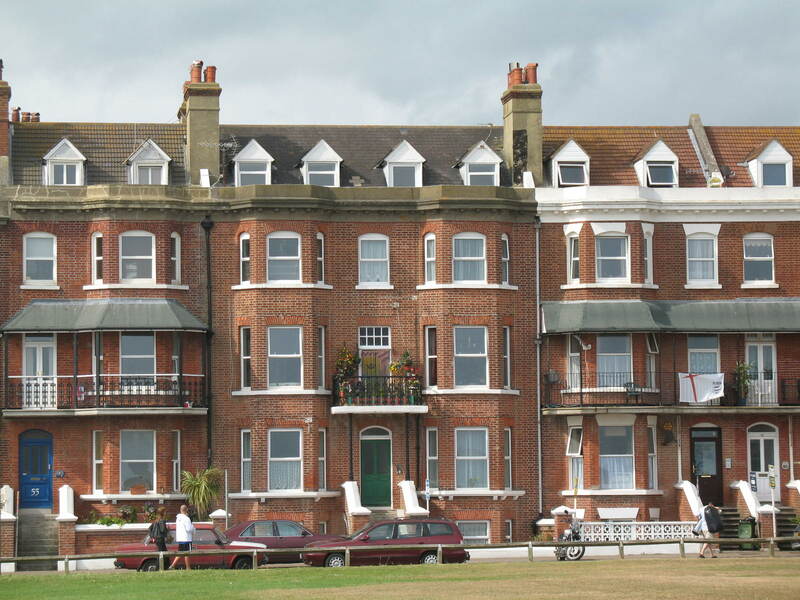 After the war, she lived in both Angmering and Littlehampton but spent her last years in Chelsea. 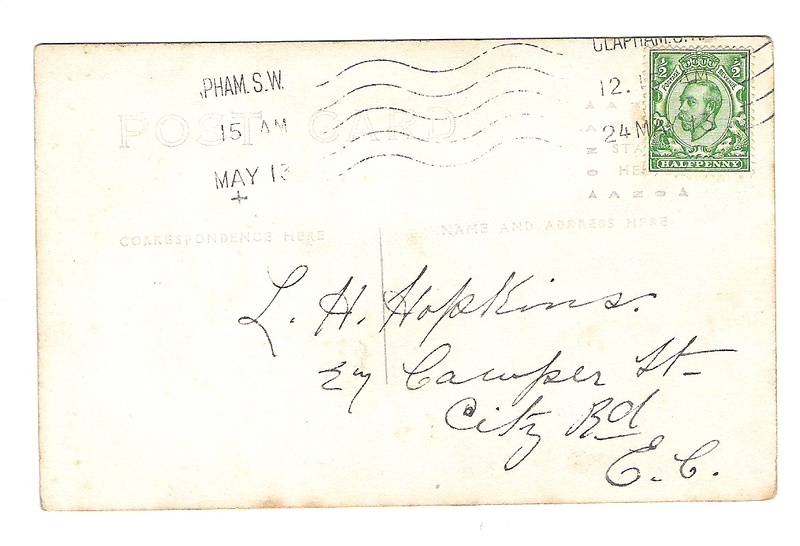 The Chapmans were Londoners, and the sisters grew up in Lambeth. Lilian loved to dance and at age 15 became one of the original John Tiller Girls. But Pip had spotted her, they had their first child when she was 17, and that was the end of her career. Mabel worked briefly behind the scenes with Houdini but preferred to help with the Zanettos' costumes. She caught the eye of a gentleman who may have been an acquaintance of Pip. 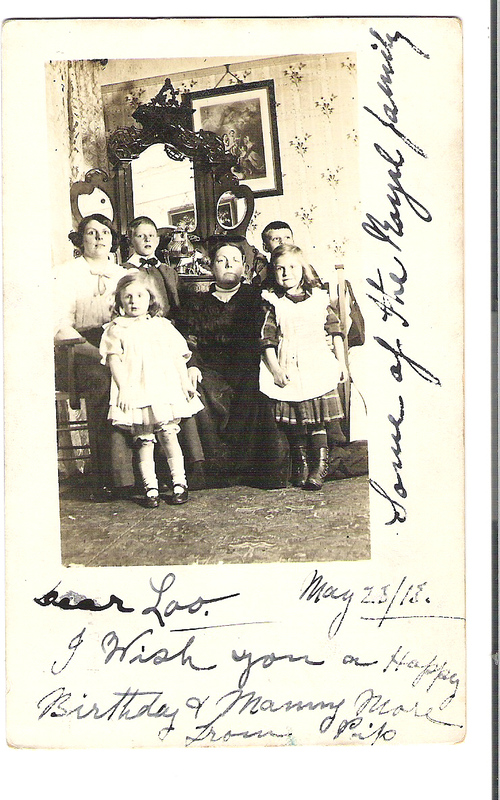 His name was Louis Hopkins and he was the father of Louie, below left with her mother, grandmother Frances Chapman, and 3 of Pip's children: "The Royal Family" as Pip wrote. In the early 1900s, Littlehampton was already a seaside resort and the various Chapmans and Bales would come down to get away from London. 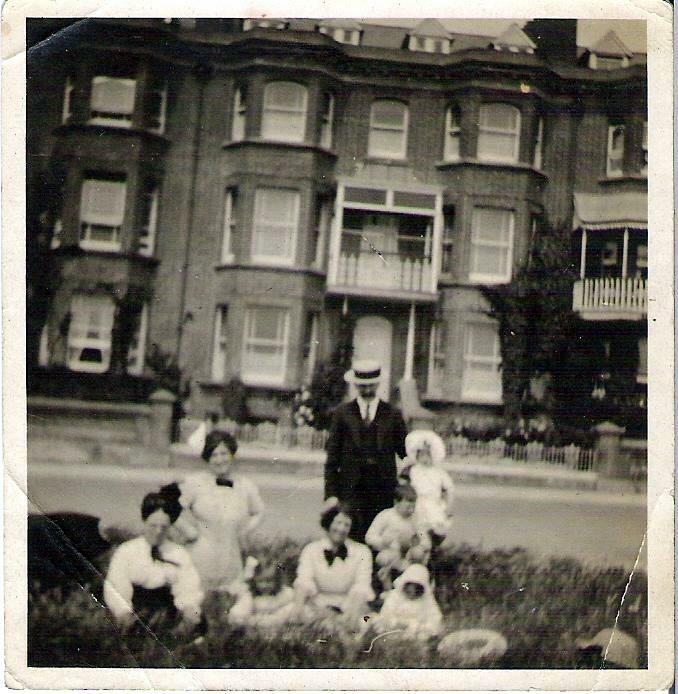 The family photo below was taken opposite a house that still exists and is easily recognizable. 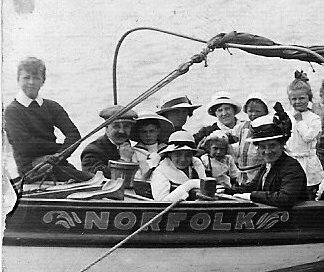 Below is a close-up of a photo taken by Pip in 1913 during a trip on the River Arun at Littlehampton. Louis is in a cloth cap, Mabel to his right and then Lilian. The 2 women in the foreground are unknown, but the children are all ours!